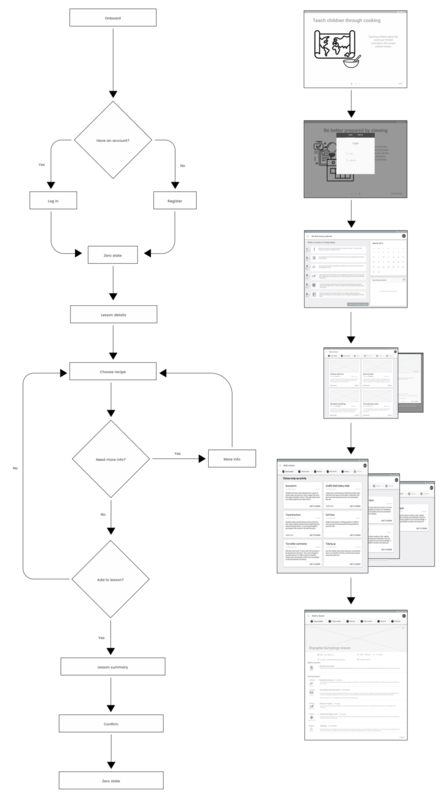 Summary: Collaboration with other designers to prototype a lesson-planning app for after school instructors short on time. 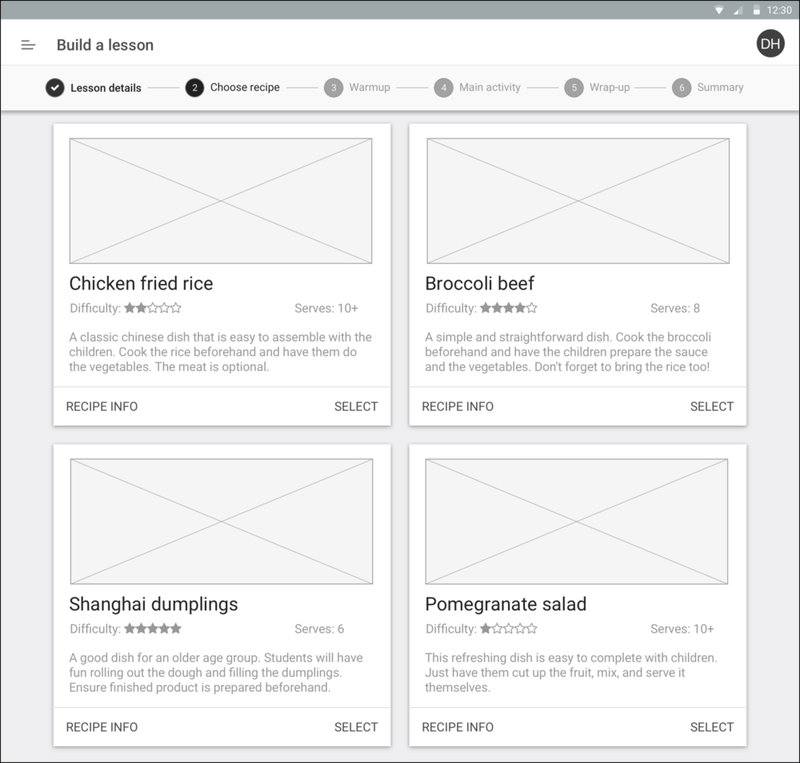 Goal: Design a lesson planning Android app that helps teachers plan their lessons and reduce planning time. Teachers are not the intended users (children and parents) of the app. The current app doesn't adequately meet the teacher needs of providing materials for lesson activities that they must create themselves and a new app is needed to address this major pain point. Extensive lesson planning time affects teachers' performance and creates additional challenges. This makes it even more difficult for teachers during class that can have a negative impact on the students' experience. Saving planning time while providing freedom with structure and pre-made activities. One decision per step of the lesson planning process because research revealed that teachers often felt overwhelmed by the number of choices and decisions they had to make during each step of making a lesson plan. A user flow that helps teachers budget time quickly and efficiently. Consistent screen format to minimize confusion as users choose activities for a lesson. 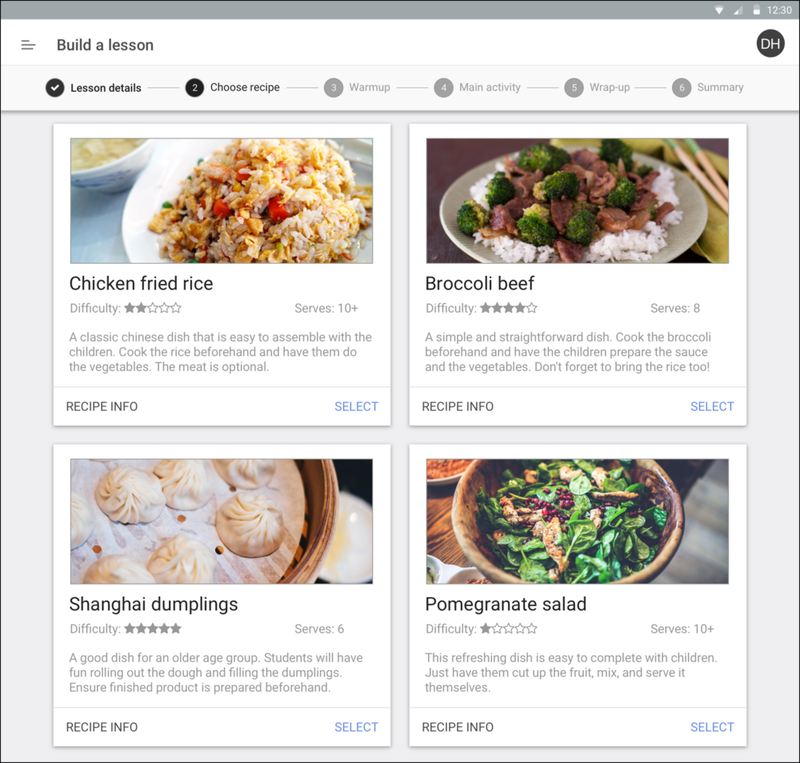 Detailed lesson overview on the final page so users can review and make changes as needed. 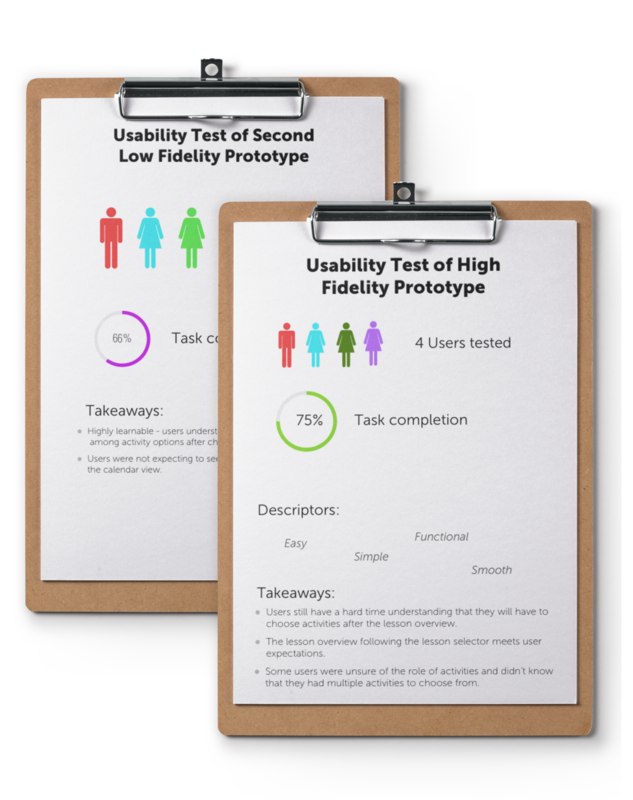 Testers described their experiences as "easy", "useful", and "innovative". - Uncertain progress in task flow. - Wanted to "See Lesson" first, not "Build Lesson". - Displayed recipe an unexpected first screen. Adaptation: This tool has potential use outside of afterschool programs and in regular classrooms. Communication: Client Communication is important to make them feel included in the design process. Balancing needs: Business and user needs are challenging to navigate. Research helps determine design direction to deliver a better product. Testing context: Tasks requiring lots of context confuses testers. Testing should be screened to capture those who might be representative of actual users. Task scenarios and background should be kept short.